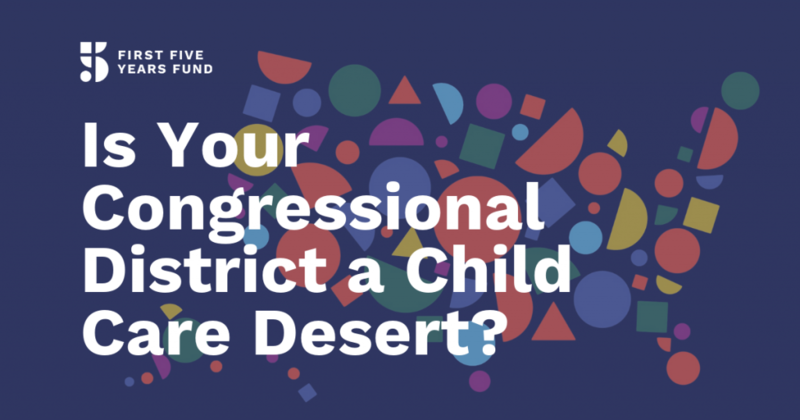 A new tool created by the Center for American Progress (CAP) allows users to view child-care supply data specific to individual congressional districts. This resource will be particularly useful as lawmakers consider policies and funding opportunities for the programs that help working families access high-quality child care opportunities. For children, the first years of life are marked by rapid brain development making quality care and learning opportunities vital for healthy development in both the short- and long-term. For parents, access to high-quality affordable care ensures that parents can go to work and know that their children are safe and learning. Despite the numerous benefits to children, families, and communities that early learning provides, there are well documented shortages of child care providers. In a December 2018 report the CAP found that half of families live in a child care desert, communities where there are more young children who need care than there are licensed child care slots. Following up on that 2018 study, CAP released this new child care data that is sortable by Congressional district. CAP’s data includes information about the number of young children in each district, the percent of young children with parents in the workforce, the median income in the district, the percent of young children living in poverty, and the number of licensed child care slots. This data comes from the U.S. Census American Community Survey 5 year estimates and further outlines the shortages of quality care for children and their families. Children and families benefit from access to high-quality, affordable child care. CAP’s report further demonstrates the need for more providers across the country. You can explore the data from the Center for American Progress here.